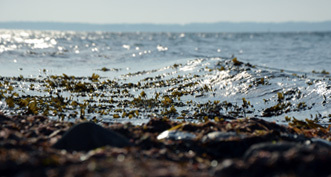 The KüNO consortium is a programme of twelve collaborative projects for coastal and shelf research in the North Sea and Baltic Sea, funded through the BMBF Framework Programme Research for Sustainable Development (FONA). The Coordinators of the twelve projects KüNO-umbrella, BACOSA, MOSSCO, NOAH, SECOS, STopP, ALADYN, EcoDike, EXTRMENESS, LivingCoastLab, PADO und STENCIL manage the respective research activities and ensure their scientific progress. They also form the steering committee and provide the spokesperson. provide an umbrella in support for this effort.